According to 20 Minutes, Bern-based imam Mustafa Memeti approves of the Swiss parliament approving a plan to ban full veils across the nation. Others are still unsure. 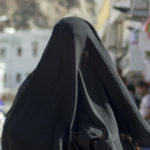 Yesterday, Switzerland’s National Council accepted, with 88 votes for and 87 votes against, to ban the wearing of burkas and niqabs nationwide. The imam’s comments and those from moderate muslim associations were reported by the Aargauer Zeitung via the website watson.ch. 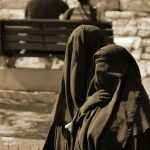 “In an open society, a woman should show her face, her identity. For this reason muslims should not react negatively to a ban…” said Mustafa Memeti from the Union of Muslims in Bern, who is also president of the Albanian islamic association of north western Switzerland. “I have reservations about the burka, it’s absurd, theologically unjustified, and not an islamic requirement” he said, noting that it is rarely seen in Switzerland. On the other hand he thinks a ban on veils that don’t cover the face would be problematic. While some have made their views clear, other organisations have shown hesitation. The federation of Switzerland’s islamic organisations has not said what it thinks of the ban, although it has said it soon will.